Dave Faulkner knows that everyone has their own significant story that they associate with his songs. For the Hoodoo Gurus co-founder, lead singer, guitarist and songwriter, it’s an honour to be a part of so many people’s memories. Dave and the Hoodoos are performing in Hastings on Saturday, January 12, as part of the Under the Southern Stars summer festival, and boy, is he raring to go! We just had to ask how such hits as My Girl, Bittersweet, What’s My Scene, Like Wow Wipeout, and The Right Time came about. He finds that raw ideas just float into his mind and he records them in voice memos to inspire his songwriting. However, the majority of his songs, including What’s My Scene, started as a simple melody. “The rhythm brought those words to life. I thought to myself, ‘What words suit those notes?’, and that’s what I believe the notes were saying. I know it sounds silly, but to me I heard those words in those notes, and then I asked myself ‘What do they mean?’.” It’s a catchy song that half wrote itself as Dave used it to search for his own identity and really ask himself “What am I doing?” Focusing on what words and concepts were important to him really made the song what it is. Dave is strong believer in doing what interests him. He’s still writing songs yet hasn’t recorded in a while because he’s got some projects happening under the radar. His role as chief music critic at a newspaper in Sydney has kept him out of mischief for more than four years. It’s a turn he never expected but he is in his element. 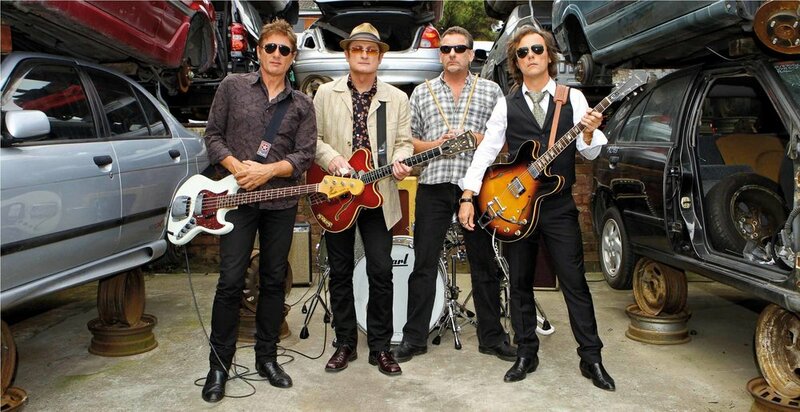 Promising to perform a set-list to please everyone, Dave says the Hoodoo Gurus plan to play the older classics. Their biggest hits will be included to nurture new fans, and a few less travelled songs will be thrown in for the diehard fans. Whether they are performing to 10 or 10,000 people, the band just want their audience to have an amazing time and feel that they are the best crowd the Hoodoos have ever played for.